Euthanasia research papers examine the issue of a person's right to die. This is a topic suggestion on Euthanasia from Paper Masters. Use this topic or order a custom research paper, written exactly how you need it to be. Euthanasia research papers examine the issue of a person's right to die. Furthermore, the ethical decisions will be examined in a euthanasia term paper. 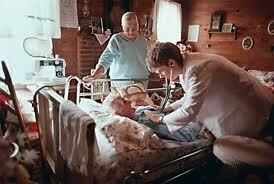 The issue of euthanasia is a moral dilemma and the arguments usually focus on three main areas. First, debate centers on the moral or religious grounds for suicide. Second, if doctors are aware of a pending suicide or are asked to participate, debate centers on whether this violates their ethical obligations to patients. The last argument focuses on the portrayal of the disabled or elderly in our society. The fear is that suicide of terminally ill people may eventually lead to the murder of the weak and vulnerable. Custom term papers on euthanasia are Paper Masters specialty. The thesis statement and topic you see here is just a sample of a euthanasia term paper of what we can provide you in research concerning the ethics of the right to die. Papers are always original and we guarantee each research paper, essay, book report or term paper that is sold by Paper Masters will never be resold and is plagiarism-free. Is it currently practiced anywhere? What groups are for it and who is against it? What are the ethical dilemmas that might warrant change of mind set? According to the Death With Dignity Organization, in the United States, euthanasia wrongfullyis considered a form of homicide and illegal. The differentiating factor between regular homicide and euthanasia is that with the latter, the motive is usually merciful rather than violent. Two forms of euthanasia exist, voluntary euthanasia and non voluntary euthanasia. When the patient gives consent, euthanasia is considered as voluntary; when the patient is unconscious or incapable of giving consent it is referred to as non voluntary euthanasia. Currently, the Netherlands is the only country in the world that allows euthanasia, although the Colombian Congress is drafting guidelines to allow for mercy killing in that country. The state of Oregon in the United States has laws that allow for assisted-suicide, but not for euthanasia. These two differ in that while a third party causes death with euthanasia directly, in assisted-suicide, the patient actually commits the final act that will take his/her life. Proponents of euthanasia claim that basic humanity lies behind their push to make euthanasia legal worldwide. For these individuals forcing an individual to suffer through unbearable pain while machines perform needed bodily functions is where the real crime lies. Further, euthanasia supporters believe that it is modern technology and not God’s will that keeps these suffering individuals alive long past their natural time to die. Paper Masters writes custom research papers on Euthanasia and examines the ethical issue of the right to die.